Jordan . Activities . Attractions . Amman . Wadi Rum . Culture . Middle East . Five days may not sound like enough—Can you really see much of an entire country in only five days?! Luckily, Jordan is quite compact and has excellent, and often very scenic, roads. You can’t see everything in five days, but you can cover a lot of ground, see some phenomenal places, eat delicious food, and have an unforgettable experience. I’ve created five itineraries to help you plan your time in Jordan. Keep in mind that these itineraries aim to maximize your time in Jordan, so they are pretty fast-moving and busy! I recommend hiring a knowledgeable guide and driver who can help you cover ground efficiently. 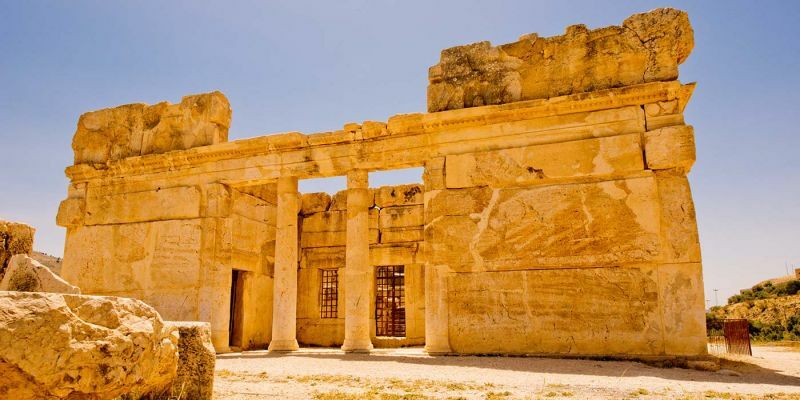 The first two itineraries are for people who are traveling in and out of Amman, if you’re flying in from another country, odds are Amman will be your most convenient entry and exit point, so these itineraries are for you. Day 1: Arrive in Amman and spend the afternoon visiting the Roman amphitheater and the Citadel, which offers excellent views over the city. Spend the evening relaxing over dinner and savoring your introduction to Jordanian cuisine. Day 2: Rise early and travel south to Petra to spend a full day walking through this ancient wonder, built centuries ago by the Nabataeans. If time allows, you might also visit Little Petra, where you’ll find still more rooms carved into rock as well as an incredible fresco. Spend the night in the area. Day 3: Begin heading back north with stops at the crusader-era castles of Shobak and Karak along the way. Arrive on the shores of the Dead Sea by evening. Day 4: Relax at the Dead Sea! There are also several excursions you can take once you’ve had your fill of floating: If you’re feeling adventurous, head to nearby Wadi Mujib for a hike through the canyon. If you’re interested in biblical history, you can visit Mount Nebo or the Baptism Site. Or, you might want to see the famous Madaba mosaics. 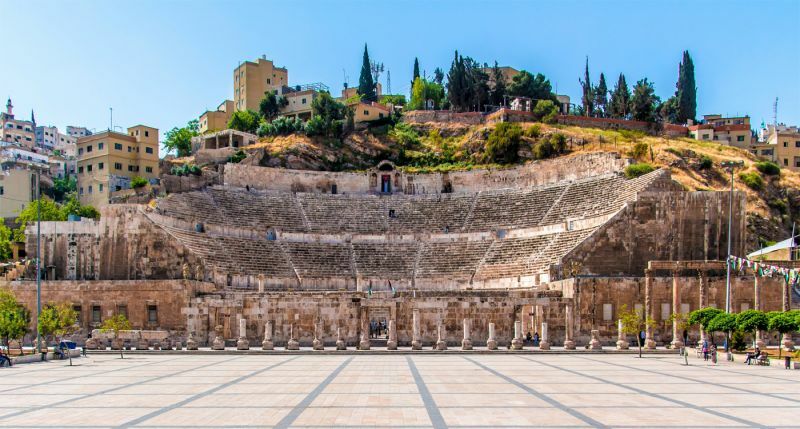 Day 5: Return to Amman and spend your last day doing some final sightseeing and shopping before catching your flight home (or onward to your next destination). Day 1: Arrive in Amman and get to know the city. 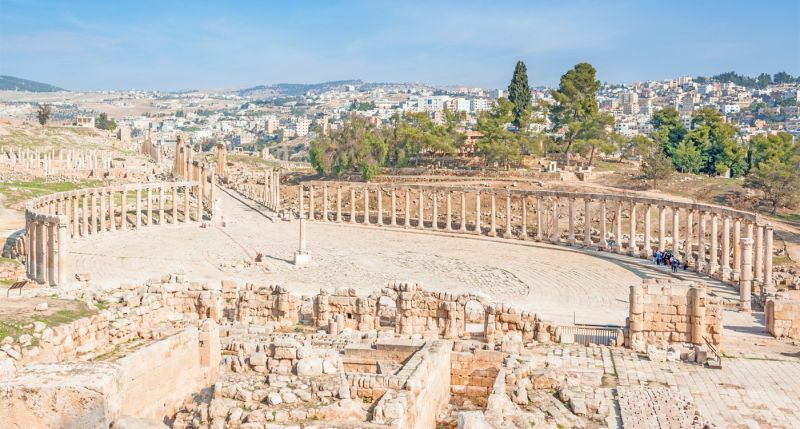 Day 2: While based in Amman, visit the sprawling Roman ruins at Jerash and Aljoun, a 12th-century castle built under the orders of Saladin. Day 3: Leave the city behind in search of Jordan’s “desert castles.” Stop at Qasr Kharana, an 8th-century complex with a courtyard; Qusayr ‘Amra, a royal lodge filled with unique frescoes; and Qasr al-‘Azraq, a black basalt fortress famous for its connection to “Lawrence of Arabia.” Arrive in Madaba in the evening and spend the night there. Day 4: Visit the famed Madaba map mosaic in the morning, and then spend your afternoon at the Dead Sea. Discover the remarkable buoyancy of the water, cover yourself in Dead Sea mud, and consider testing your athleticism at nearby Wadi Mujib. Day 5: Drive back for a final day in Amman before catching your flight. 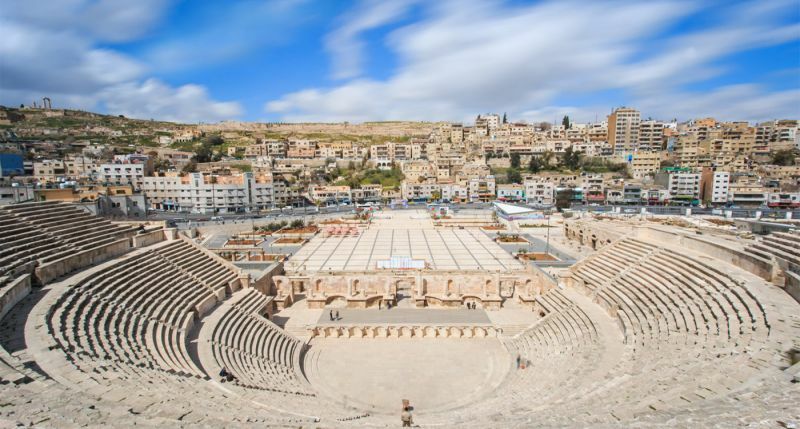 The third and fourth itineraries are perfect if you’re able to arrive in Amman and depart via Aqaba (or vice versa; you can always flip the days). The benefit of this plan? You can cover a lot of ground with no backtracking. Day 1: Arrive in Amman, settle in, and perhaps take a walking tour of the city. Day 2: Using Amman as your base, explore several impressive castles: Qasr al-Abd, a striking Hellenistic palace with some notable carvings; Qasr Kharana; Qusayr ‘Amra; and Qasr al-‘Azraq. Day 3: It’s time to head south! Walk through the ruins of Karak Castle and arrive in Petra by evening, perhaps in time for “Petra by Night,” a candlelit visit to the famed Treasury. 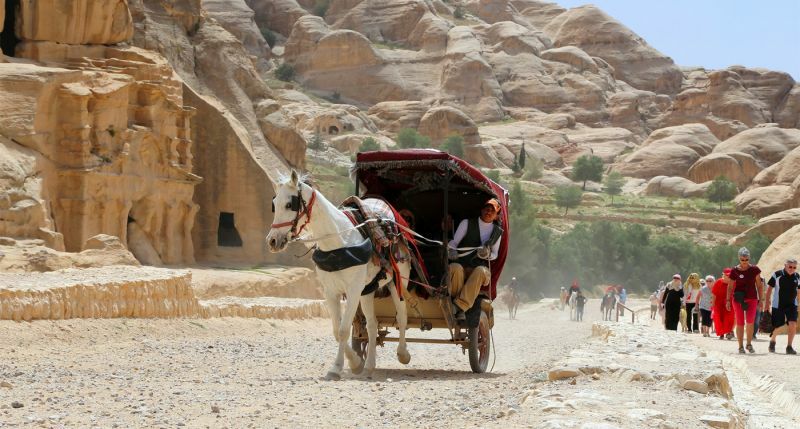 Day 4: Visit Petra and Little Petra and spend your day marveling at the endless rock-cut structures of the Rose City. Continue on to Aqaba for the night. Day 5: Relax on the beach or go diving in Aqaba on your final day. Day 1: Arrive in Amman and get acquainted with the city. As mentioned above, you might want to visit the Roman theater or the old Citadel if time allows. Day 2: Drive north to visit Jerash and Aljoun. Head back down south to Madaba for the night. Day 3: In the morning, visit the renowned Madaba map mosaic, then travel to the Dead Sea to float in some of the saltiest waters in the world—almost ten times saltier than the ocean. Continue on to Petra to sleep. Day 4: Spend your day appreciating the ancient grandeur of Petra and Little Petra. When you’re ready, head to Aqaba to have dinner. Day 5: Spend your last day in Aqaba. The fifth itinerary is for those of you entering and leaving via Aqaba. 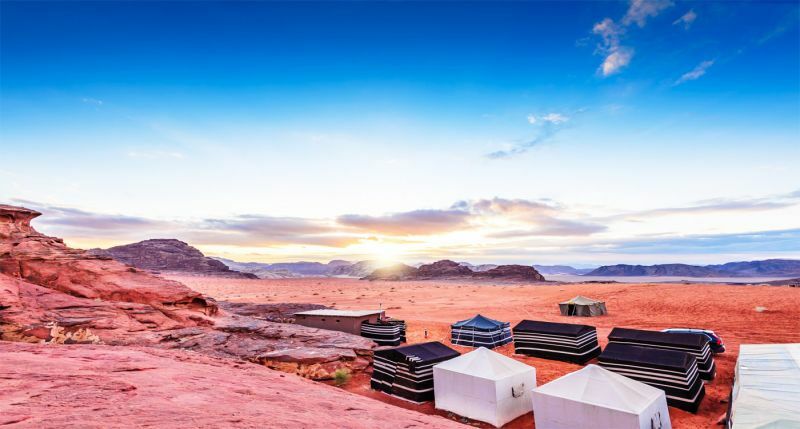 This itinerary is ideal if you’re longing to see Wadi Rum and spend a couple nights in this iconic desert. Day 1: Arrive in Aqaba and take a transfer to Wadi Rum, where you can stay with local Bedouins. Day 2: Enjoy a full day in Wadi Rum, taking a Jeep tour, hiking, and simply admiring the sand dunes, rock formations, and vast desert landscape. Spend another night under the desert stars. Day 3: Leave early for Petra and spend a full day exploring Petra and Little Petra. 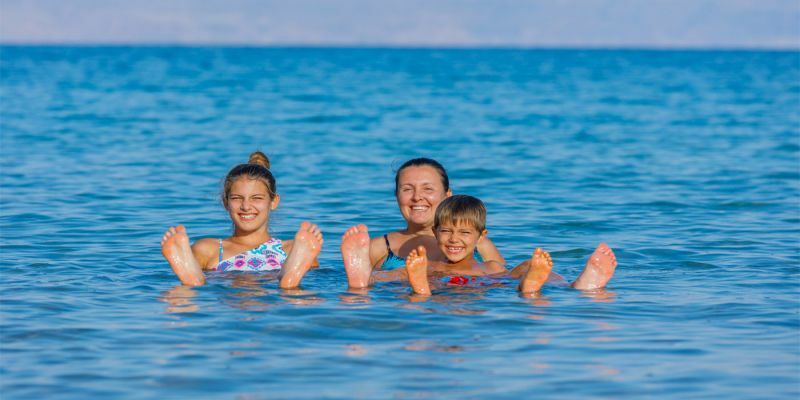 Day 4: Take a short detour north to visit Shobak Castle, then return to Aqaba for an afternoon of relaxing on the Gulf of Aqaba, which opens onto the Red Sea. Day 5: Final day in Aqaba. Five days doesn't seem enough to see much of an entire country, right! Now, make the best use of jordan only in five days through one of Jordan Vacations!